GoPro is expanding its Hero sports camera lineup with a new model, the Hero3+. The new action cam is smaller and lighter than its previous model, the Hero3, has a better battery life and faster Wi-Fi. The Hero3+ also sports an upgraded sensor for better image and video quality in low-light conditions. 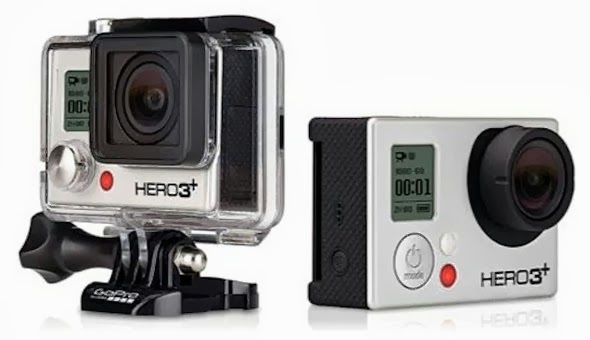 The Hero3+ will be available this week in two editions: the premium $400 Black and the $300 Silver. GoPro today announced the availability of its new HERO3+ line of cameras, featuring a 20% smaller and lighter design and 30% better battery life than previous models. These upgrades, combined with an improved lens and convenient new video capture modes, produce the most advanced and easy-to-use GoPro, yet. In addition, GoPro announced several new mounting accessories that further enable immersive content capture during any activity. The HERO3+ line of cameras and accessories are now available at GoPro.com and at select retailers worldwide.